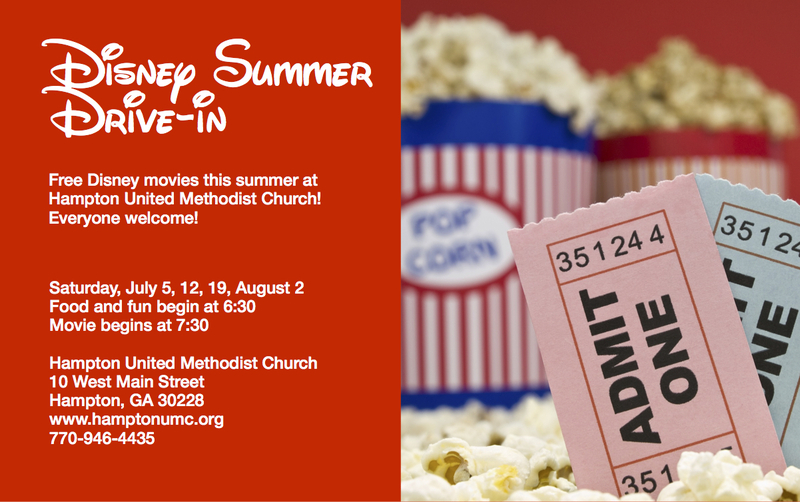 Using video clips from Disney’s “Lion King,” this sermon tackles subjects including spiritual warfare, answering God’s call, and being conformed to image of Christ. It’s easy to see, I hope, that Scar is a lot like Satan. Now why does Paul say we “do not wrestle against flesh and blood”? Because if you read the Book of Acts and read Paul’s letters, you’ll see that he wrestles constantly against “flesh and blood”: he wrestles against civic and religious authorities who have him arrested and beaten repeatedly, stoned one time and left for dead; he wrestles against others—even people in the church—who slander him and try to ruin his ministry; he wrestles against the Roman Empire, and ultimately Caesar himself will order his execution because of his faithfulness to Christ. My point is, these are flesh-and-blood people who seem to cause Paul all this trouble, yet he says that his struggle and our struggle isn’t against people at all—it’s really against the evil spiritual forces of Satan and his fellow demons. In other words, it may look like these flesh-and-blood people are doing all this evil—and they are—but someone far more powerful is influencing them, calling the shots. And they’re completely unaware of it. That’s how Satan often works! So take for instance Justin Ross Harris, the man in Cobb County who was charged with felony murder for deliberately leaving his 22-month-old boy to die in his sweltering S.U.V., while he worked all day at the Home Depot corporate offices. We desperately want to know why he did that. And I’m sure doctors and psychologists will give us many physiological or psychological reasons for this man’s behavior, and these reasons will seem perfectly natural. But this man is only flesh-and-blood. The apostle Paul is telling us to look deeper…to see the spiritual forces at work behind this man’s actions. I don’t need to be a doctor or psychologist to diagnose the most important cause of this tragedy. It’s the devil himself! Sometimes, as in the case of Justin Ross Harris, it’s easy to see Satan at work. The vast majority of the time, however, his work is far harder to detect. Even so, we need to know he’s out there, working against us. And I feel passionate about this in part because I can count on one hand the number of times the devil was mentioned in my classes at the Candler School of Theology. So here we have this Methodist-affiliated seminary preparing people for ministry—yet no one’s talking about the obvious fact that when someone decides to follow God’s call into ministry, they are drawing a giant target on their back and inviting spiritual attack! If you don’t know what you’re up against, that’s like sheep to the slaughter! And we wonder why the United Methodist Church isn’t more successful in its mission! We badly underestimate this powerful enemy working against us! I love Mufasa, but the truth is, he underestimated how powerful his enemy was—until it was too late. 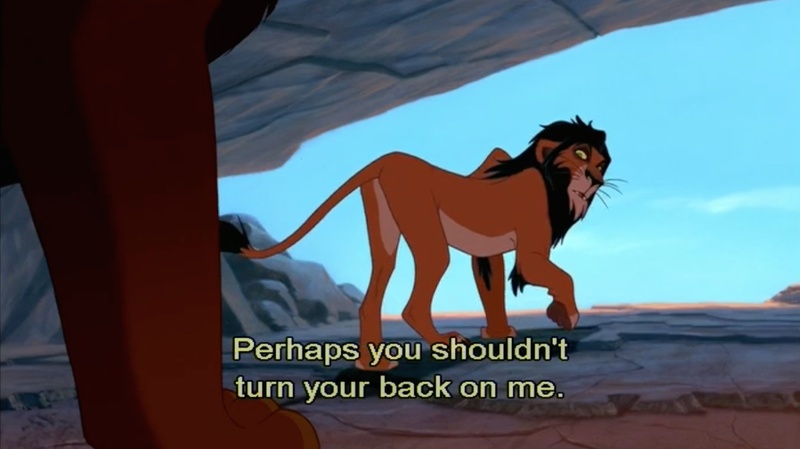 When Scar tells Mufasa that he shouldn’t turn his back on him, Scar was exactly right. We “turn our backs on”the devil at our own risk. In this next scene Simba and his friend Nala give in to Scar’s temptation, lie to their parents, and go to the elephant graveyard, where they encounter some of Scar’s evil agents, a group of hyenas, who are threatening to kill them. You saw the devil there in the background, right? 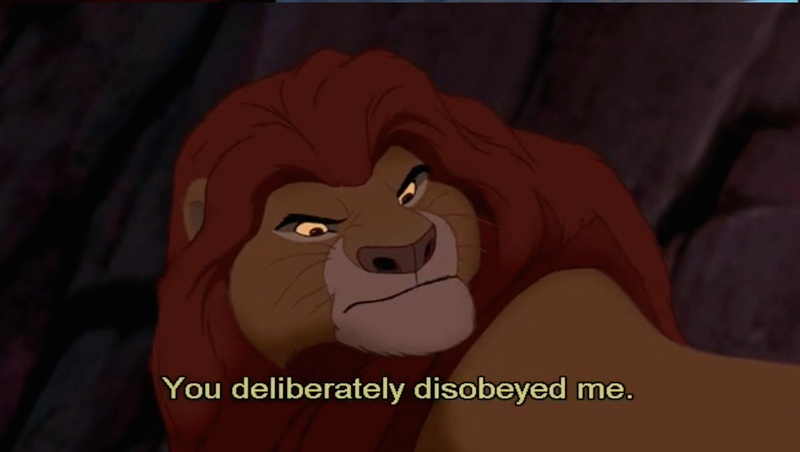 We see Mufasa get really angry at his son’s disobedience. Why? Because, if Mufasa had not gotten there in time, Simba and Nala would have been killed. Is the potential death of your child worth getting angry about? Of course it is! Mufasa gets angry about Simba’s disobedience because he loves his child and wants him to be safe—and he loves Nala and doesn’t want his son’s sin to bring her to harm! When you see people who are harmed or abused, you get mad. If you see people abusing themselves, you get mad at them out of love. Your senses of love and justice are activated together, not in opposition to each other. If you see people destroying themselves or destroying other people and you don’t get mad, it’s because you don’t care. You’re too absorbed in yourself, too cynical, too hard. The more loving you are, the more ferociously angry you will be at whatever harms your beloved. So you can’t have a God who truly loves you who isn’t, at the same time, angry about sin—a loving God who will always demand that we repent and change. Because our sin harms us at least as much as it harms other people, and God loves us too much for us to keep on doing it! Well, if you’ve seen the movie, you know that Scar’s next deadly scheme succeeds in getting Mufasa killed by a stampede of wildebeests. 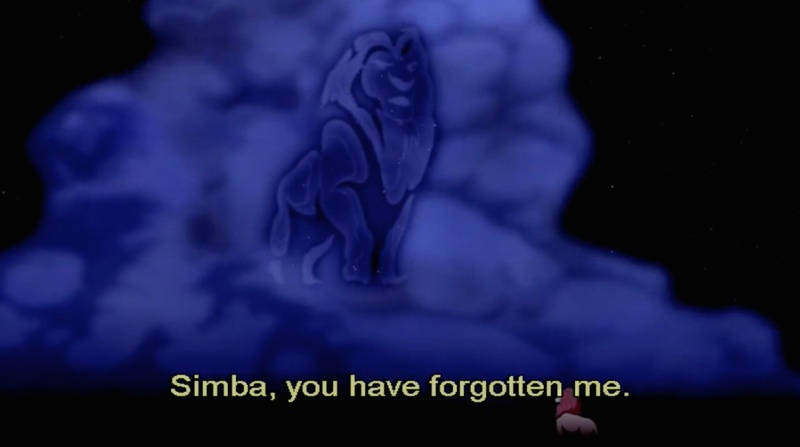 Because Mufasa died while trying to save Simba’s life, Scar convinces Simba that Simba is responsible for Mufasa’s death and urges him to run away from home, which Simba does. Scar then takes over as king. While Simba is away from home, he meets a couple of animals who share with him their philosophy on life. 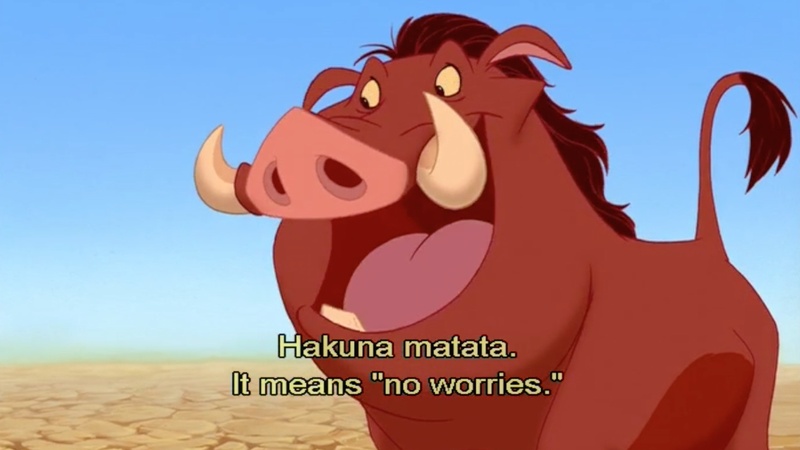 “Hakuna matata”is a Swahili word that means “No worries.”When I was in Kenya over the past couple of years, that was one phrase that I heard Kenyans say that needed no translation! Surely one of the most neglected commands of our Lord in the Sermon on the Mount are these words: “Therefore I tell you, do not worry about your life, what you will eat or what you will drink, or about your body, what you will wear.” In other words, Jesus says, Hakuna matata. If you’re like me, you wake up in the morning and your mind is instantly flooded with anxious thoughts and worries about the day ahead. Tell yourself: There is nothing that’s going to happen to me today that God doesn’t know about, that God hasn’t planned on happening, and that God can’t handle. Trust him. Here’s one great habit I’ve gotten into recently. When I first wake up, often before I even get out of bed, I grab a Bible nearby and read and pray. I find if I don’t do it then, it becomes increasingly difficult to do later. Because I go downstairs, I make coffee, I eat breakfast—with my laptop in front of me, reading news, reading blogs, writing blogs. 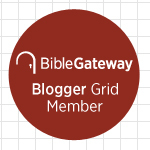 Before I know it, I suddenly don’t have time to read the Bible and pray—and guess what? I find it’s much harder to have this spirit of hakuna matata for the rest of the day. It becomes harder not to worry. So Simba grows up away from his home in the pride lands—away from his family and friends. Until he accidentally runs into Nala one day when she’s out hunting. Nala tells Simba that Scar has ruined the pride lands and he needs to return home, take his rightful place as king of the jungle, and fix all the problems that Scar has created. Simba refuses. He doesn’t feel up to the task, and he’s still racked with guilt, thinking he killed his father. Simba’s story reminds me of Moses’story. Like Simba, Moses tried to run away from his past. Remember, after he was adopted into the Egyptian royal family and raised as an Egyptian, he sees an Egyptian mistreating one of his fellow Hebrews, who along with the other Hebrews, is being held in slavery. Moses kills the Egyptian. Then he runs runs far away from Egypt, to a distant land, out of fear that he’ll be caught. For decades Moses lives there with his wife and in-laws. Surely he thought he’d left all that trouble in Egypt behind—but what did God do? God found Moses and called him to go back home and confront the Pharaoh. Like Simba, Moses had unfinished business back home; he had a mission to fulfill. Which goes to show that we can’t run away from God! He’ll always find us! But not only that: God has this amazing way of redeeming the mistakes of the past! Do you think that because of mistakes in your past, you can no longer be useful to God? Don’t bet on it! In this next clip, God finds Simba—in the person of Rafiki, a wise monkey from the pride lands back home. He reminds Simba of something important. Of course, when the son returns home, his father throws the biggest party imaginable. The past was in the past! That’s what repentance looks like: coming to your senses, remembering who you are—which means, remembering that you belong to God our heavenly Father; you are meant to be nothing less than a child of the King of kings! When we rebel against God through sin, and go our own way, instead of following the way of our Lord, we are settling for something far less than that! Don’t settle! Repent of your sin! Give your life to Jesus Christ! Be everything that God created you to be! Maybe you feel worthless. Maybe you feel unlovable. God could never love me like that! Are you kidding? Look again in the mirror see who you truly are! There’s this beautiful, perfect person in there somewhere—and God wants you to be that person! Simba looked at his reflection in the pond, and when Rafiki stirred the water, Simba began to see not himself, but Mufasa, his father. 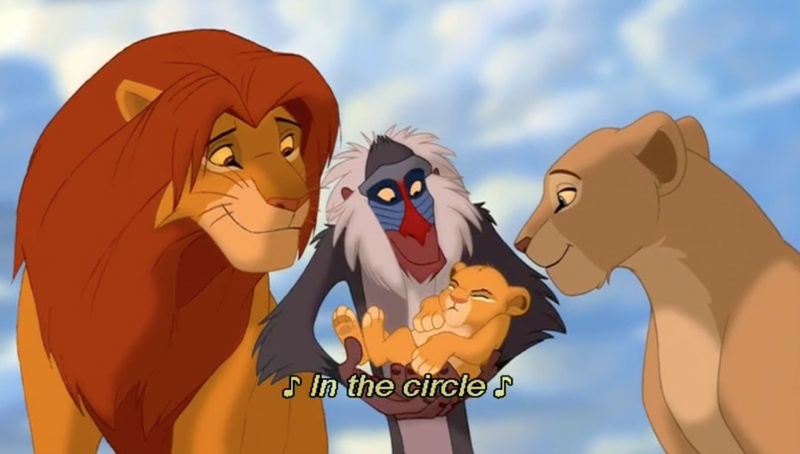 In fact later on, when he returns home and sees his mother for the first time in years, she mistakes him for Mufasa! Paul says that we Christians are being “conformed to the image of God’s Son” through the Holy Spirit. Brothers and sisters, although I realize I have a long way to go, I want people to look at me and see Jesus. Don’t you want people to look at you and see Jesus? The world that Simba returns to looks pretty bad, doesn’t it? It’s looks hopeless, beyond redemption. And I sometimes hear Christians say that that’s the way our world looks too. But as Simba says, “If I don’t fight for it, who will?” If we don’t fight for this world, who will? You know who’s busy fighting for this world? Faithful disciples like Bruce and Daria Hargis, who were commissioned this morning as Stephen Ministers. You’re going to be hearing more about that ministry in the weeks ahead, and God might even be calling you to be part of it. If we at Hampton United Methodist Church don’t fight for this world, who will? Let’s fight against the “the rulers, against the authorities, against the cosmic powers over this present darkness, against the spiritual forces of evil in the heavenly places.” Let’s contend with them for every square inch of this town—in sure confidence that not only is our Lord leading the charge, but we know that he’ll be victorious. Because in his resurrection, we’ve already seen the victory. This entry was posted on	July 17, 2014 at 2:35 pm	and is filed under Uncategorized.